Although a hardy plant, it does not like excessive winter wet, so makes it perfect for a well drained planter on the patio. Our extra large chunky plants are supplied at around 120-150cms(4ft-5ft) tall in approx 10 litre containers as pictured, ready to show off and grace your deck, balcony or other outdoor relaxation area! Very tolerant of wind and coastal exposure, this palm can reach upto five metres tall in the right spot after many, many years! 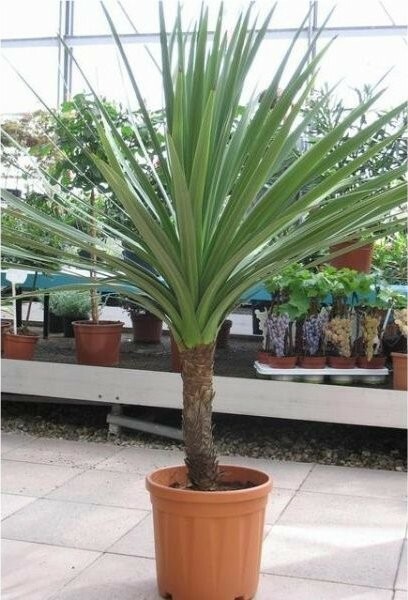 Great for a tropical effect jungle garden, to add its evergreen impact and architectural shape anywhere.